It’s a well-known Hollywood trope: famous directors falling for their leading ladies. Here’s a list of the most famous examples in Tinseltown history. Like many directors, Tim Burton has dated several of the actresses he’s worked with. But the relationship that lasted the longest was with someone who could easily match his level of oddness, Helena Bonham Carter. 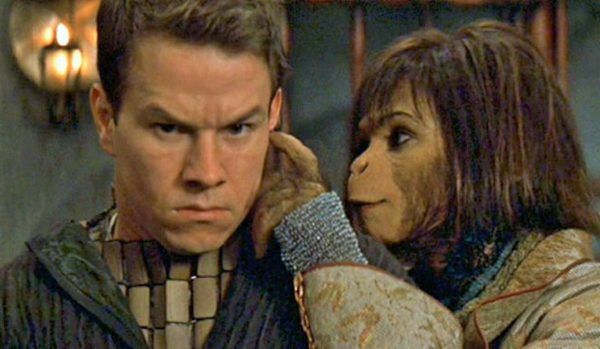 The two met while Burton was making Planet of the Apes. Reportedly, Burton’s first words upon meeting Bonham Carter were “I can really see you in an ape mask.” The actress was charmed, and they dated for thirteen years, making numerous movies together including Charlie and the Chocolate Factory, Sweeney Todd, and Alice in Wonderland. Falling in love with your leading ladies isn’t always a good thing. Just ask James Cameron. He met actress Linda Hamilton while directing her in 1991’s Terminator 2: Judgement Day, and left his wife, director Kathryn Bigelow, for her. But almost immediately, their relationship was in trouble. While filming the smash hit Titanic, Cameron began an affair with Suzy Amis, who plays the elderly Rose Calvert’s granddaughter Lizzy. Despite the affair, he married Hamilton in 1997. But after only eight months, he left her again for Amis, who he is still with today. Now often known as the therapist’s therapist on The Sopranos, Peter Bogdanovich was originally known as a promising young director. One of his first films, The Last Picture Show, was also how he met longtime girlfriend Cybill Shepherd, who he had contacted when he saw her on the cover of Glamour magazine. Although she was nineteen and him, 30 (and married), no one seemed to bat an eyelash when Shepard later moved in with the director into a Bel-Aire mansion—except for longtime Bogdanovich collaborator Orson Welles. Shepherd talks about some of her time living with Bogdanovich in the recent Netflix documentary about Welles, They’ll Love Me When I’m Dead. The parents of LIza Minnelli, Vincente Minnelli and Judy Garland might be one of the most famous director-actress pairs of all time. The two met while married to other people while working on the film Meet Me in St. Louis. But like so many Hollywood couples, they had soon divorced their partners and married each other. 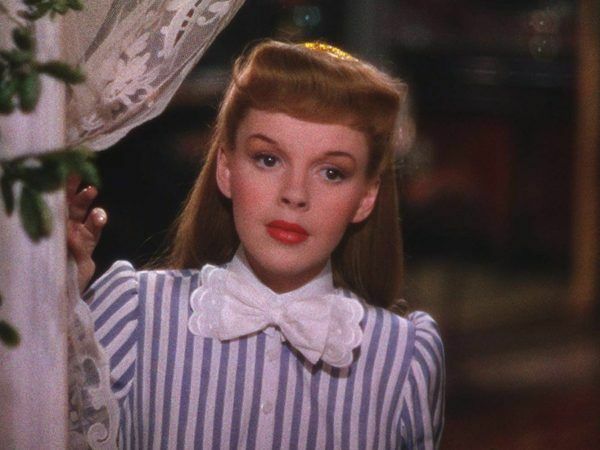 They collaborated on two more films, The Clock and The Pirate, and Minnelli is often credited with revitalizing Garland’s career by giving her a more adult look. But he was not as able to affect change in her personal life—she suffered a nervous breakdown after developing an addiction to prescription drugs. The marriage didn’t survive the stress and the two split after six years. 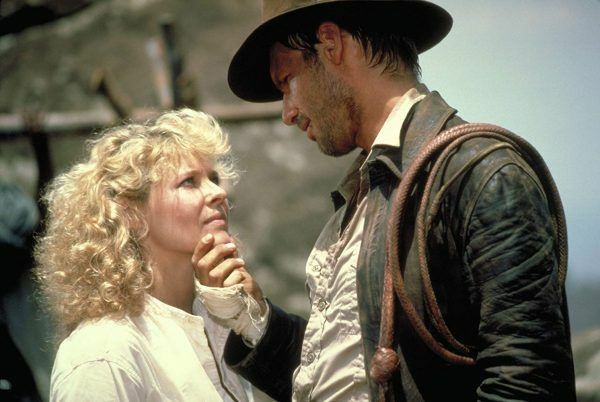 With so many Hollywood marriages ending in divorce, it’s comforting that directing legend Steven Spielberg is still married to Kate Capshaw, who he directed in 1984’s Indiana Jones and the Temple of Doom (even though he was married to another woman when they met). More than twenty years (and five children) later, Spielberg reflected back on the movie when being interviewed by Entertainment Weekly about Indiana Jones and the Kingdom of the Crystal Skull. “The prettiest thing that came out of that film was my future wife. I met Kate, my leading lady. My leading lady is still my leading lady,” he said. Take this tip from director Danny Boyle: If you start dating the star of your movie, make sure it lasts longer than the press junket. The director of such films as Trainspotting, Slumdog Millionaire, and 127 Hours, Boyle met Rosario Dawson while making the 2013 thriller Trance. They reportedly dated throughout filming, but by the time the movie came out, they had parted ways. Both insisted that there were no hard feelings, with Dawson even praising Boyle’s directing abilities, but interviewers found them to be noticeably stiff around one another. Even Stanley Kubrick wasn’t immune to falling in love with one of his stars. Christiane Susanne Harlan (also known as Susanne Christian), a German actress, had just begun dating Kubrick when he put her in a new final scene he had created for his World War I drama Paths of Glory. The scene ultimately gave the film its emotional heft. Harlan plays a German who’s captured by the French and forced to sing. Her song is so beautiful that the soldiers are mesmerized and moved, and so was Kubrick. He married Christian shortly after filming and they were together until his death more than 40 years later. A prominent director during the golden age of film, Charles Vidor directed some of the best leading ladies who have ever been on the screen, including Rita Hayworth, Doris Day, and Grace Kelly. But it was Evelyn Keyes he fell for, on the sets of their films Ladies in Retirement and The Desperadoes. Called “the best director we have in America” by Stanley Kubrick, Elia Kazan is considered one of the most influential directors in history, known for his Oscar-winning films like A Streetcar Named Desire, East of Eden, and On the Waterfront. During the production of 1960’s Wild River, he met Barbara Loden. Although Kazan and Loden were married to other people—and he was 22 years older than her—they struck up a romance. 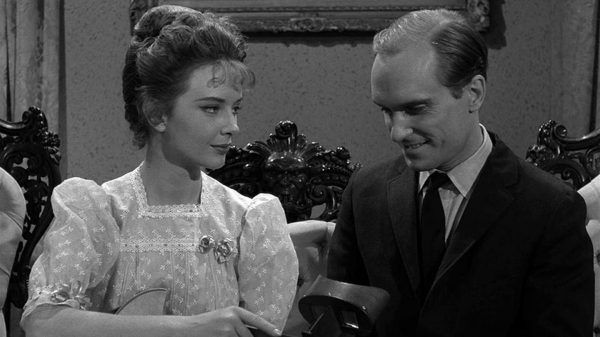 Kazan cast Loden as Warren Beatty’s sister in Splendor in the Grass, and she also played a lead role in his Broadway production of After the Fall. They married in 1967. The New Yorker once said that Ingrid Bergman “went further—and sacrificed more—than did any other actor, before or since, in order to work with a true cinematic artist, Roberto Rossellini.” Indeed, she became a pariah after falling in love with the director and having a baby with him before her divorce from her prior husband was final. 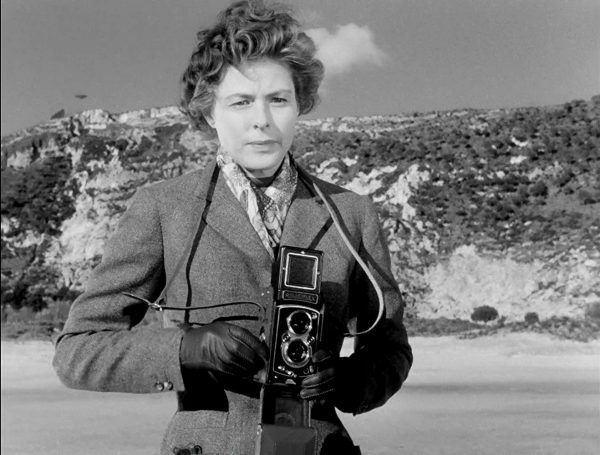 Rossellini remained relatively unscathed, but Bergman was the subject of a public protest, and a Colorado senator even called her “a powerful influence for evil” who had “perpetrated an assault upon the institution of marriage.” Luckily for the time being, the only director Bergman wanted to work with—Rossellini, of course—was still happy to cast her. 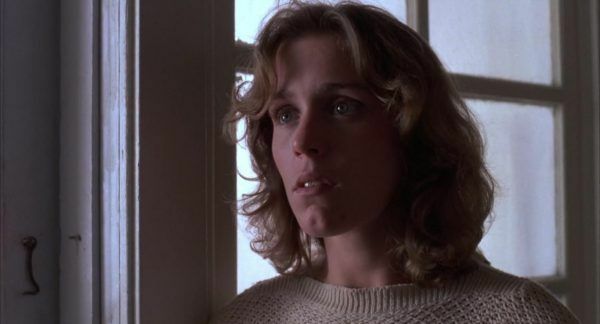 One of Hollywood’s most beloved couples, Joel Coen and Frances McDormand met when McDormand was auditioning for Joel and Ethan Coen’s first movie, Blood Simple. McDormand was dating another man, however, and she didn’t even come to her callback for the part because she didn’t want to miss the boyfriend’s TV debut in a soap opera. The Coens cast her anyway, and she and Joel began dating. Now married to him for more than 30 years, McDormand has also has appeared in numerous Coen Brothers films. The one for which she’s best remembered is Fargo, for which she won a Best Actress Academy Award. It was the love affair seen on tabloid covers all over the world: director Rupert Sanders and actresses Kristen Stewart, who had been working together on Snow White and the Huntsman. Sanders was married and Stewart was dating her Twilight co-star Robert Pattinson when they were caught being a little too close by a photographer who was snapping secret photos. The director of film noir classics Sunset Boulevard and Double Indemnity, Billy Wilder was a prolific filmmaker. He also took part in a hallowed Hollywood ritual: cheating on his wife. 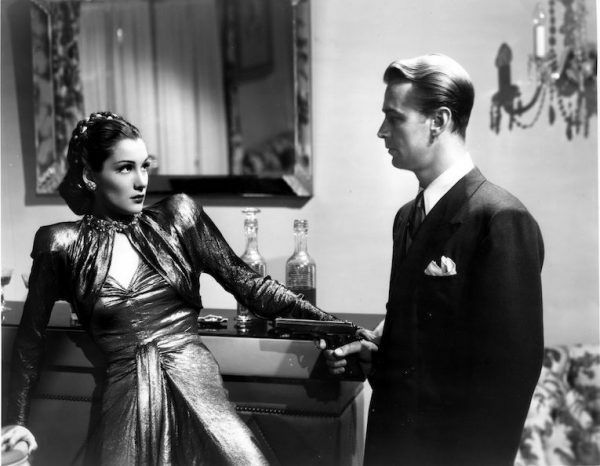 In 1945, it was with one of the stars of his Oscar-winning film The Lost Weekend, Doris Dowling. 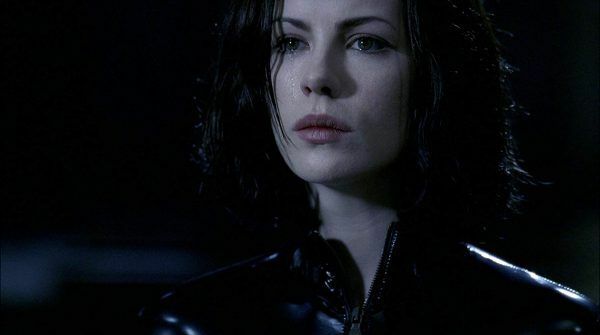 When Len Wiseman directed Kate Beckinsale in Underworld, he was married and she had been dating her co-star actor Michael Sheen for eight years. But somehow, less than a year after the film came out, both Wiseman and Beckinsale were free of their previous partners and married to each other. Beckinsale and Wiseman were ultimately together for more than ten years, with Wiseman also casting her in his 2012 remake of Total Recall. They divorced in 2016 citing irreconcilable differences, and Beckinsale has since been linked to several men, including Ariana Grande ex Pete Davidson. John Carpenter’s horror movies are so well-known that he’s synonymous with scary movies. But back when Halloween was released, he was still relying on TV movie money. In this case, it was 1978’s Someone’s Watching Me! It may have not been as good as his later cinematic successes, but it introduced him to his wife. Adrienne Barbeau, known at the time for playing Carol on Maude, began a relationship with the director, and they were married in 1979. Divorced in 1984, Carpenter and Barbeau collaborated on two more movies while they were together: The Fog and Escape from New York. 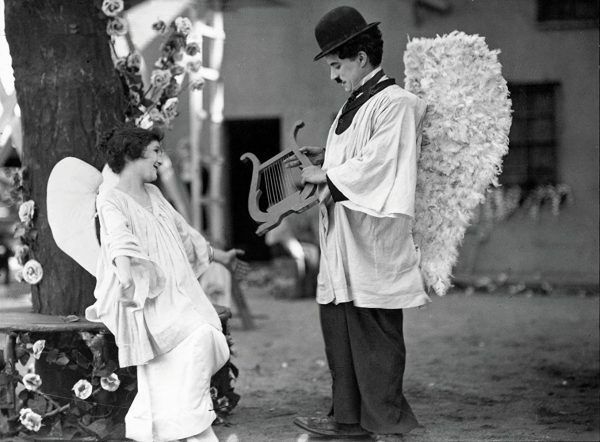 Casting women you’re interested in romantically is nothing new, as proven by Charlie Chaplin, who not only cast actress Linda Grey in his 1925 film The Gold Rush but married her as well. When the marriage ended only three years later, the court battle became one of Hollywood’s first true scandals. While testifying in court, Grey detailed the many ways Chaplin was “cruel and inhumane” to her, while Chaplin, 20 years her senior, accused her of being a “gold-digger.” She walked away with a hefty sum for child support and his reputation was never quite the same. Lots of Hollywood couples elope right away and even more stay in relationships for decades without ever officially tying the knot. Taylor Hackford (known for directing such movies as An Officer and a Gentleman and Ray) and Helen Mirren (one of Hollywood’s grande dames) are the rare couple who did both. Hackford and Mirren met while filming the 1985 movie White Nights. They dated for twelve years before getting married. Mirren later told AARP Magazine that she got married more for practical reasons than sentimental ones, although she also said they sensed that their families wanted them to wed.
Their professional paths don’t often intersect, so many people don’t realize that Paul Thomas Anderson, the director of such films as There Will Be Blood and The Phantom Thread, has been in a relationship with beloved funnywoman Maya Rudolph for almost twenty years. Although they’re usually quiet about their relationship, many speculate they met on the set of Saturday Night Live, when Anderson directed a short. He later directed her in 2014’s Inherent Vice. “Paul’s an incredible director, probably my favorite,” Rudolph told Variety about the experience. They have four children together. The Resident Evil franchise hasn’t just made Paul W.S. Anderson a well-known director, it introduced him to wife, Milla Jovovich. Jovovich, who stars in the films as security officer Alice, was previously married to director Luc Besson (who she met while making The Fifth Element). After falling in love on the set of the first Resident Evil, Anderson and Jovovich got engaged, but the relationship didn’t last. Later, they rekindled their love and had a baby together, who they named Ever Gabo. After finally marrying in 2009, they had a second daughter named Dashiel Edan. Robert Rodriguez is known for his modern-day noir and grindhouse movies like Sin City and From Dusk Till Dawn. In 2007, he made Planet Terror, starring Rose McGowan as Cherry, the go-go dancer who fights zombies. Rodriguez and McGowan fell in love and dated for two years. While dating, McGowan divulged to Rodriguez that she was a survivor of sexual assault at the hands of Harvey Weinstein. Although Weinstein had attempted to blacklist her from getting a job in movies, Rodriguez cast her in Grindhouse anyway. He later said he did it as an “F U” to the famous producer. When David Lynch first met Isabella Rossellini he told her, “you could be the daughter of Ingrid Bergman.” Of course, Rossellini is indeed the daughter of the famous director Roberto Rossellini and his muse. Perhaps it was her Hollywood blood, but Lynch almost immediately cast her in his film Blue Velvet. The couple dated for four years, and also collaborated on the movie Wild at Heart together. But this wasn’t Rossellini’s first relationship with a director. She had previously been married to Martin Scorsese. However, the marriage had lasted only three years. “I hated her as much as I loved her,” Paul Verhoeven told The San Francisco Chronicle about Sharon Stone. “And I really loved her.” Although he was married to his longtime spouse Martine at the time, the director was open with the press about how he felt about Stone while filming Basic Instinct. In Verhoeven’s telling of the events, the attraction was mutual but the two decided not to act on it physically. Basic Instinct is often best-remembered for containing the most famous legs-recrossing in cinematic history, and Verhoeven reportedly worked the scene into the movie after telling Stone a story about a woman he knew in college while the two were at dinner. Darren Aronofsky is known for his twisty, turny films like Requiem for a Dream and Black Swan. His film Mother!, from 2017, was no different, which is perhaps why it attracted actress Jennifer Lawrence. It turns out, more than just the script was attractive to her, and the two ended up dating. Ben Stiller has rarely stepped behind the camera, but when he did, he met his future wife, Christine Taylor. Taylor was known for her roles as Marcia in the movie versions of The Brady Bunch and Melody on the popular Nickelodeon show Hey Dude. In 1999, she played the sheriff in a comedy pilot that Fox had ordered. It was Heat Vision and Jack, a hilarious, tongue-in-cheek show about a talking motorcycle that Stiller made with his pals Owen Wilson and Jack Black. Now a cult internet video, it was ultimately too weird for Fox and they never made another episode. But Stiller and Taylor have been together ever since. The Costa Rican actress Giannina Facio has appeared in ten Ridley Scott movies, including Black Hawk Down, Kingdom of Heaven, and Robin Hood. So it’s no surprise that the two have been dating since they made Hannibal together. They wed in 2015. In two of Scott’s movies, Gladiator and Body of Lies, Facio was romantically paired on-screen with Scott’s friend Russell Crowe. Perhaps it’s just a matter of statistics, however, as Crowe has appeared in five of Scott’s films himself. Robert Altman is a legendary director known for films like Gosford Park, Short Cuts, and Nashville. But before he was a film director, he directed numerous TV shows, including Bonanza and Alfred Hitchcock Presents. One of them was a show called Whirlybirds, on which he met his wife. Director Roger Vadim was almost as famous for the amount of actresses he dated as he was for his B-movies like Barbarella. The first movie he directed, 1956’s …And God Created Woman, starred his first wife Brigitte Bardot, who he had married when she was 18. Due to his constant infidelity, they got divorced a year later, but continued working together. Vadim would go on to be married four more times, including to Jane Fonda in 1965. The couple met while filming the erotica-tinged La Ronde, and began a relationship even though Vadim had just had a baby with his girlfriend Catherine Deneuve. Fonda and Vadim were married for eight years and made several movies together (as well as a baby of their own). Martin Scorsese had previously been married to another actress, Isabella Rossellini, but that didn’t stop him from dating Illeana Douglas after casting her New York Stories. Later, she appeared as Rosie, one of Tommy DeVito’s girlfriends, in Goodfellas. She also appeared in Cape Fear as well as the Scorsese movies Household Saints, Jungle Fever, and Quiz Show—but her parts were cut. “It was kind of depressing,” she later admitted, but the association with Scorsese did have its career upsides. Lorraine Bracco reportedly took Douglas under her wing during the filming of Goodfellas, helped her find an agent, and gave her the boost in the industry that Scorsese failed to provide. Woman directors seem to have better luck dating assistant directors, choreographers, and other crew members rather than dating their actors. But Mimi Leder bucked the trend by marrying Gary Werntz, a longtime character actor who has appeared in her shows China Beach, John Doe, and The Leftovers, as well as her movies Deep Impact and Pay It Forward. Leder and Werntz originally worked together on an early project in both of their careers, a 1988 TV movie about nursing students called Nightingales. It was successful enough to spawn a TV show, but was canceled after one episode. The relationship fared much better, still going strong after 30 years. Relationships between directors and their stars can sometimes take on an uncomfortable “casting couch” quality, but the story of how Sydney Pollock met his future spouse warms the heart. It was long before he ever got his big break, and was a teacher who directed shows at the local community theater. 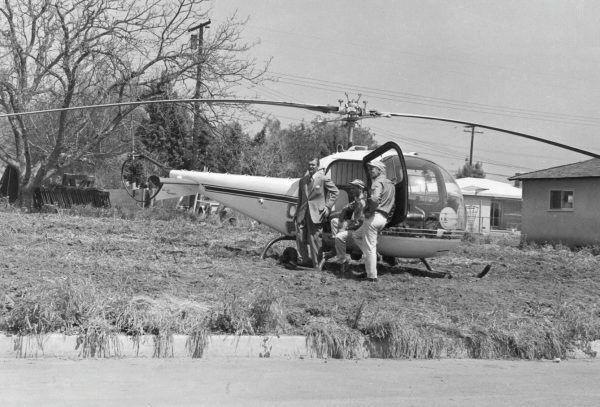 Claire Griswold was his student there, and they married in 1958. Griswold had success on the most popular TV shows of her day, including The Dupont Show, Perry Mason, and The Twilight Zone. 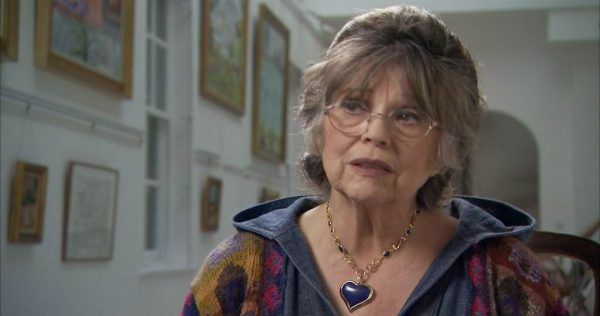 She left acting and raised three children with Pollock before his passing in 2008.